Stockholm has a wonderful beer scene, with an exciting array of places to try. There are three distinct options: international breweries, local operations and bars that are dedicated to provide great experiences for beer lovers. 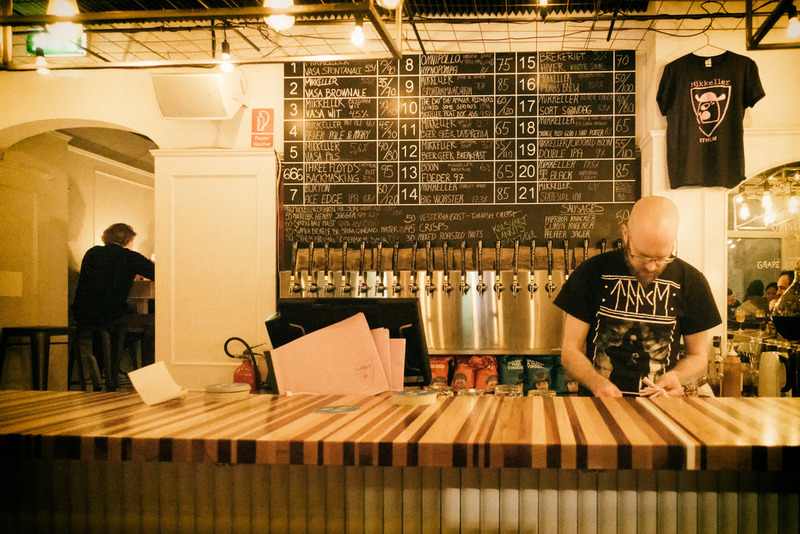 Read on for a tour of the craft beer scene in the Swedish capital. Like many Northern European cities, Stockholm can be expensive when it comes to drinking in bars and restaurants, but the quality is very high, with many places offering a superb variety of exciting and innovative alcoholic drinks. In Sweden, you can buy alcohol that is above 3.5% at only one chain of shops, Systembolaget, which is state-owned, meaning that bars don’t have to compete against supermarkets or corner shops, as they often do in other countries. What this means in practice is that bars and breweries can take risks. They can be innovative, and they can aim to create more exciting experiences, as they aren’t concerned with having to lower quality to compete on price. It also means that Systembolaget has an excellent selection, and is worth checking out as a starting point for anyone exploring alcohol in Sweden. One of the biggest international names in craft beer, Brewdog, set up shop in Stockholm in 2013. They opened their first international store and bar in the Swedish capital in the northern part of the city, on the beautiful island of Kungsholmen. Since then, they have opened a second bar in Södermalm, one of Stockholm’s coolest neighbourhoods. You will also come across Mikkeller, a Danish brewery that has a bar in Stockholm. They are famous for their experimental beers and for the interesting label designs on their bottles. Their cosy beer bar in Stockholm is located in lovely Östermalm, one of Stockholm’s prettiest places, and has 24 beers on tap, as well as great food. Straddling the line between local and international breweries is Nya Carnegiebryggeriet, born from a collaboration between Carlsberg Sweden and the ultra-popular Brooklyn Brewery in New York. The result is a range of excellent beers that have both a European and an American feel, giving their collection considerable variety. 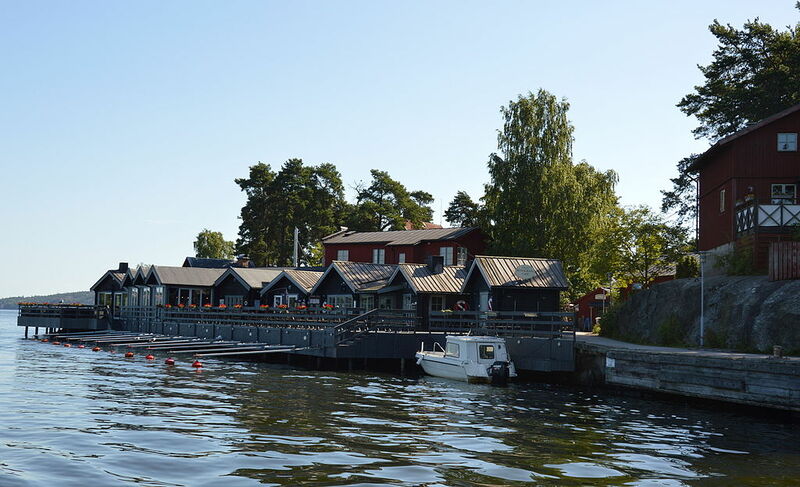 You can visit their brewery, located in a former lighthouse factory in the south of Stockholm, either just to grab a beer and have some food, or on a brewery tour – these run every day except Sunday. You do need to book ahead, and if you want the tour in English, make sure to contact them by email beforehand. For those looking for a more local experience, there are a number of Swedish breweries of varying sizes that have set up their own bars or tasting areas where you can sample the best in local beer making. One of the most popular places is the Stockholm Brewing Co, who open their doors on Fridays for a cosy after-work session that is always well attended. They are based in Södermalm and have everything from light table saisons to strong imperial stouts. If you aren’t in Stockholm on a Friday, you can also find their beers at many Systembolagets. Also in Södermalm is Modernist Brewery, another place aiming to break the boundaries of craft beer in Stockholm. They have beautiful bottle designs and an extensive range of beers to try. Slightly outside of the centre are two more excellent options for sampling the Stockholm brewing scene. First is Pang Pang Brewery, which is based in Farsta, one of the final t-bana stops in the south of the city. Their star attraction is their Puttin’ in Hours Pale Ale, which features four different types of Swedish hop. Even further afield is Fjäderholmarnas brewery and brewpub on the island of Stora Fjäderholmen, a truly beautiful setting. On a summer day you can hop on a ferry from central Stockholm to get there and either try out their various beers with some food, or book a tasting, which includes a tour of the brewery. As you can see, Stockholm’s brewing scene is in rude health. If you are looking for more variety than the range of one particular brewery, Stockholm has you covered with a huge selection of bars that focus on beer. A good place to start is Kvarnen, which has been in Stockholm since 1908. Stepping into there is like going back in time. 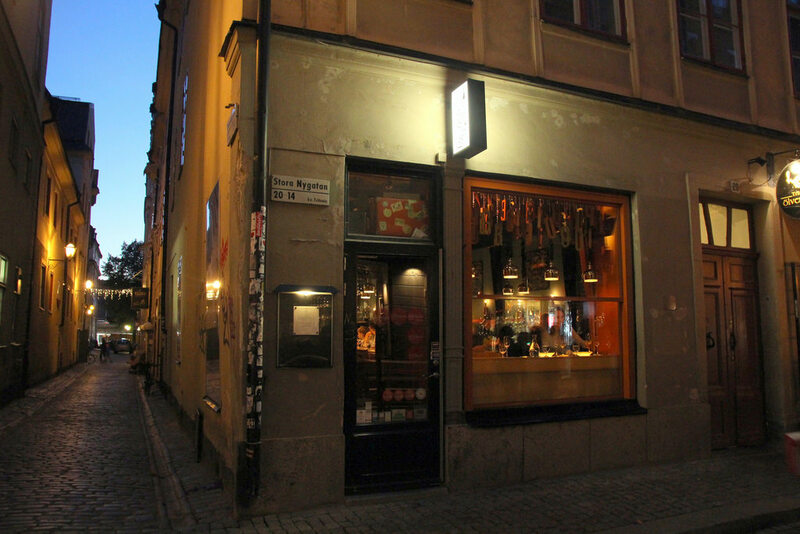 Another classic Stockholm haunt is The Flying Dog in the northern part of the city. 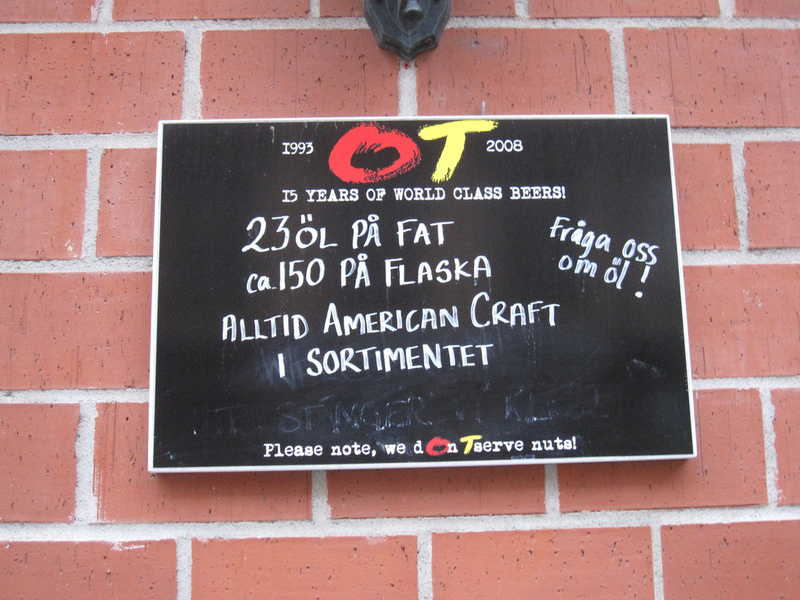 It’s an institution in the Stockholm scene, with one of the city’s best beer selections. If you want Stockholm’s largest collection, though, you have to check out Pressklubben, which has over 750 different brews to choose from, as well as great food. Bierhaus has the selection and menu of a classic German beer hall but is set in a modern bar in central Stockholm. In keeping with its old-town setting, Sjatte Tunnan is set in a historic cellar and serves traditional Swedish beer as well as food. If you want a place with more of a pub atmosphere, Oliver Twist in Södermalm is a great place to go, with 150 different bottled beers and 23 beers on tap. Akkurat is another food and beer favourite, with a wide and varied selection of over 200 beers and a food menu that is notable for its oysters. Pubologi is a modern and innovative bistro with an excellent range of beers, so is a real treat for foodies who love beer. Away from these more classic bars are experimental joints that often brew their own beer in microbreweries and augment them with other beers from better-known suppliers. Perhaps the best example is Omnipollos Hatt in Södermalm; they make their own small batch beers as well as serving a rotating assortment of beers from places like Duvel and Buxton. Tritonia in Gamla Stan does something very similar. They have their own microbrewery, but also serve brews from names such as To Ol and Ballast Point. These places love to experiment, and with changing guest beers each visit can be a bit different. One final addition to the Stockholm scene is beer cafés. These aren’t quite restaurants, but are more than bars. While they keep beer front and centre, there is also food that is great for a quick bite while you enjoy a drink. You could just as easily have dinner there as a quick working lunch. Perhaps the best example is Katarina Olkafe, which combines deli-style food from the east coast of America with local and imported beers. Another fantastic example of a beer café is Folk and Friends, whose excellent pies go brilliantly with their many different beers. The craft beer scene, then, is really thriving in Stockholm, making it a brilliant place to visit if you are a beer lover looking for some new spots, brews and bars to try out.